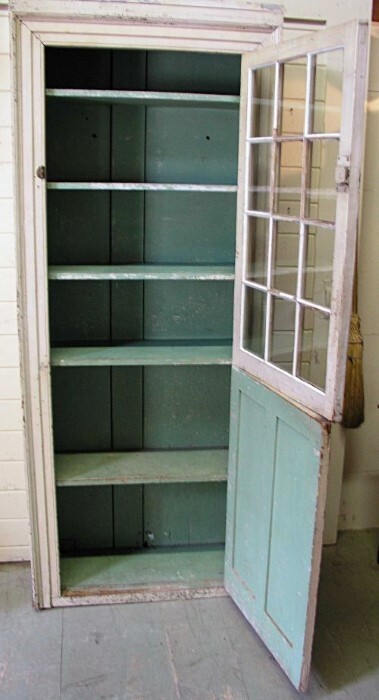 New England double door cupboard with upper section consisting of 12 panes of early glass with lower section having 2 beaded panels. Old off white paint over original green paint. Picture frame molding surrounds outer section.Interior still retains the original green.